I once had a boss who said never do advertising unless you have news for the customer. Not sure I totally agreed with him, but I guess having something interesting to tell people is always useful in advertising. It’s even more useful if you can pull in their emotions. 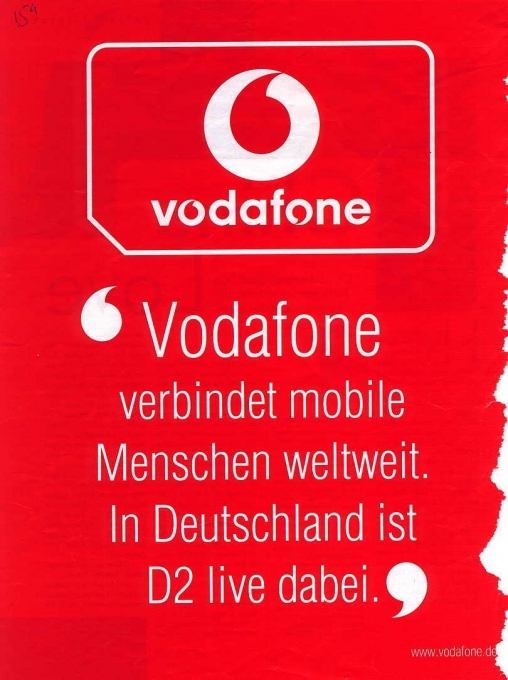 When German mobile company D2 became Vodafone, that was news enough for many a marketeer. But they went slap-bang for in-yer-face announcement advertising. Slap-bang on branding. Slap-bang on standout. They used the same campaign on posters and in print. 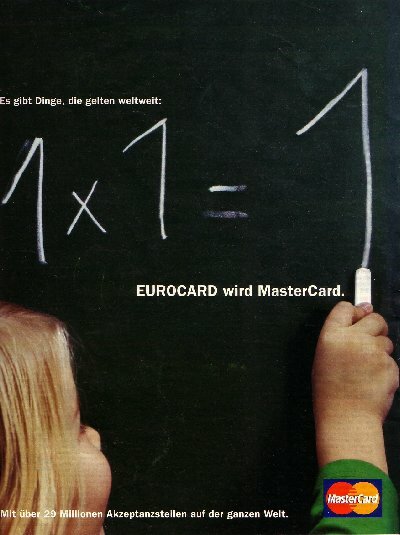 I noticed around the same time that the Eurocard brand was being renamed. Their approach was much more personal. They used children as their vehicle. Unfortunately this meant they didn’t get an key message across defined by brand management (that Mastercard is accepted at 29 million locations worldwide), but maybe that’s their fault for trying to do too many things at the same time. Children are always a good way to get the emotions going. Having worked on a brand that had kiddies in the ads (Landliebe), I can confirm this from the letters we received from grannies worried about the little boy in the TV ad who crashed his gokart into a tree (it was pretend, I promise; the boy suffered no harm!). Apparently the best trick in advertising to get the hearts of women over 50 fluttering is to show the “male hero shot” PLUS baby – optimally a fireman carrying a child from a burning house. Whether that matches your brand message or not is a different issue, unless of course emotional news is core to your brand. This entry was posted in Desire, Interest and tagged Landliebe, Mastercard, Vodafone. Bookmark the permalink.